Don't forget about oral hygiene the next time you travel! 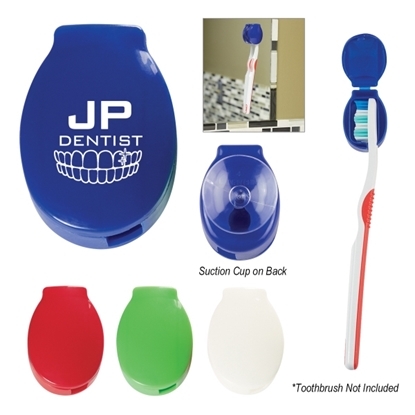 This toothbrush cover with attached mount snaps over the head of your toothbrush to keep the bristles sanitary on the go. The suction cup on the back allows you to mount it on a mirror. It meets FDA requirements and is available in several colors. A must-have handout for dentists, it can be customized with an imprint of your company name and logo for increased brand exposure. 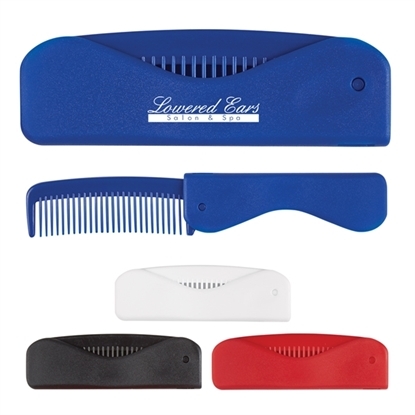 Go with your clients everywhere when you advertise using this folding comb! You'll always be in style and you'll help them stay stylish too with this hair tool that's perfect for a pocket, backpack or purse. It's small enough to stay with them on the go, folding up into a nice neat little size. When they need to tame their locks, they can simply unfold it and reclaim their perfect coif. Make sure your clients look and feel their best while representing your brand! Shea Butter Cream - 0.33 oz. Enrich new and potential clients' look with this shea butter cream! The 0.33 oz. 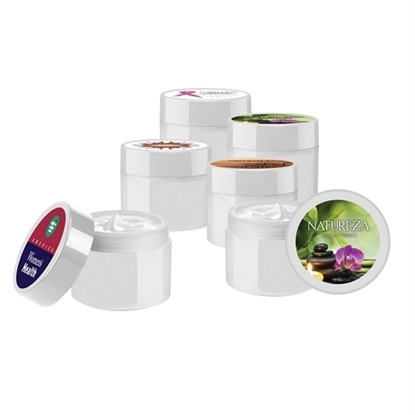 translucent jar with a white cap is full of the moisturizing cream that's formulated with shea butter, cocoa seed butter, aloe vera and vitamin E. it has a tropical fragrance from papaya and mandarin oils. Not only does this product moisturize and soften skin, but it's also a natural hair conditioner. Add your company's name, logo and marketing message to create an advertising tool they're sure to love! 30 Sheets Per Case. Just Add Water And The Sheet Dissolves Instantly. No Mess. Fits In Your Travel Bag, Purse, Pocket or Briefcase. Airline Carry-On Compliant. Meets FDA Requirements. 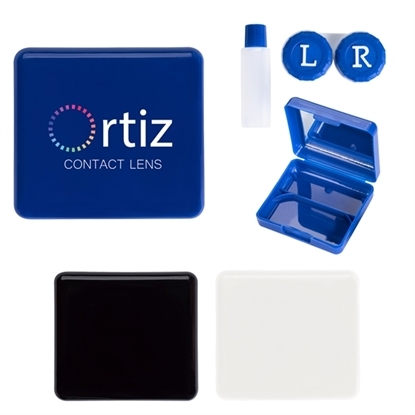 Help them keep their lives in order when you give away this Contact Lens Kit With Mirror! The small size is great for new and potential customers who do a lot of traveling. Available in multiple product colors, this kit contains a dual holder box, solution bottle, tweezers and a built-in mirror. Add your company's name, logo or marketing message to make sure that your brand can tag along on all their adventures to get maximum exposure! Made of Silicone. Holds Pills, Oils and Concentrates. Reusable. Meets FDA Requirements. Mypromotionalpens.com offers the largest and best priced selection in Promotional Travel Amenities. We will price compete and we won't be under sold. Let our graphic designers make your personalized Travel Amenities standout above the crowd at no charge. We won't stop until you are completely satisfied with your custom Travel Amenities art proof.Use category search filters on your left to help narrow your search to find exactly what you are looking for.